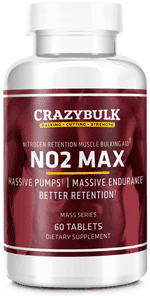 Crazy Bulk NO2 Max fires up the Nitric Oxide levels, blasting blood and oxygen to your muscles, gives you eruptive workouts and volcanic pumps. Nitric oxide, or NO, is a gas that is naturally produced by our bodies through the enzymatic breakdown of amino acids such as arginine, in order to facilitate cell-to-cell communication. Foods including turkey (white meat), shrimp and spinach are sources of arginine. When our cells communicate efficiently, the activities of our brain, digestive organs, circulatory system and other vital functions are optimized. NO also functions as a vasodilator, causing blood vessels to become wider and leading to increased blood flow. From a workout perspective, more blood flowing through the circulatory system means increased levels of oxygen and nutrients reaching the muscles and quicker removal of the byproducts of muscle exertion. This directly results in faster recovery times, increased endurance, heightened energy levels and more efficient regulation of hormone production. Improved blood flow and oxygen circulation give you a whole host of benefits from heightened energy and endurance to rapid recovery rates and also mind blowing pumps. Crazy Bulk NO2 Max contains the amino acid arginine, which is needed for your body to produce NO, enabling rapid transportation of glucose, oxygen, adrenaline and other nutrients to your muscles. You’ll feel less fatigued, more energetic, and your reps will be longer and more powerful, resulting in longer, more intense workouts. Clinical studies have shown that older male athletes (from age 50 to age 73) experienced significantly increased anaerobic thresholds after taking a mix of arginine and antioxidants before their workouts for three weeks. The anaerobic threshold is the moment when the byproduct lactic acid begins to collect between muscle fibers, leading to fatigue and the familiar “muscle burn” feeling of exertion. Less muscle fatigue means longer sets, more energy and increased force. 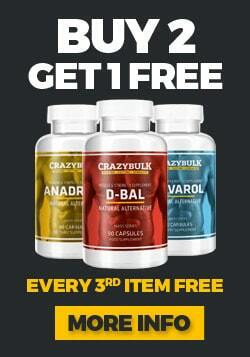 1 tablet of Crazy Bulk NO2 Max contains 2400mg of arginine. 3 tablets should be taken once a day, 1 hour before your workout, for at least 8 weeks. Since arginine is an amino acid, too much of it can lead to adverse effects such as diarrhea, fatigue and nausea. As you would before adding any new supplement to your regimen, be sure to consult your doctor to make sure that Crazy Bulk NO2 Max is right for your body.